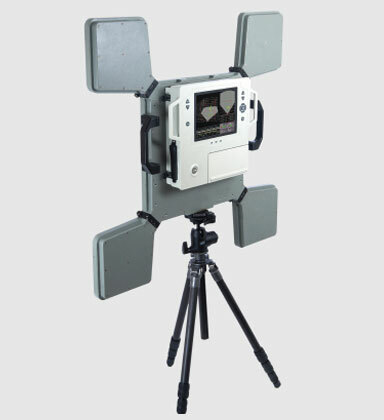 The Xaver™ 800 is a portable, high performance imaging system, optimized for gathering instant and accurate real-time information from behind solid walls or barriers. The Xaver™ 800 is unique in providing for the first time a true 3D imaging of objects behind walls. The Xaver™ 800’s superior object resolution allows quick location of people hidden by walls and barriers, and tracking of their movement patterns to support differentiation between victims and hostiles. Special operation and law enforcement teams conducting operations in an urban environment need accurate and reliable real-time information for successful execution of their missions. Information about the number of people and their location inside a room is critical in determining the necessary tactical planning. The Xaver™ 800 is a portable system whose unique mechanical design with folding ‘wings’ allows compact and easy transport. Its operation is simple and intuitive. Rich 3D imaging brings the scenario to life and allows easily understandable viewing from multiple angles. 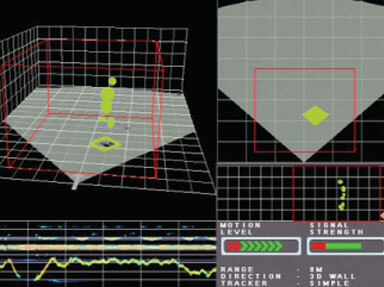 These unique features provide the user with crucial information from “beyond the wall’, enabling highly-efficient planning of life-saving operations. The Xaver™ 800 also offers a number of flexible options, including using the system at a stand-off from the wall and remotely locating the sensor at a distance of more than 75 feet from the operator. The system is very safe to use and operates on very low power signals: Total energy transmitted is a small fraction of that emitted by a standard cellular phone. Camero has sold and deployed the Xaver™ 800 systems to leading Military and Law Enforcement customers worldwide. The Xaver™ 800 utilizes a cutting-edge system architecture encompassing multiple technical disciplines. A patented approach was developed to better deal with cluttered environments and to comply with requirements for improved resolution and intuitive through wall imaging. Rapid interpretation of complex scenarios is possible as a result of extensive research and development of proprietary 3D image reconstruction algorithms used in conjunction with sophisticated, patented signal processing techniques. A unique proprietary Ultra-Wideband (UWB) sensor design with extremely high bandwidth and a very high dynamic range enables real-time operation and market-leading resolution. A novel and patented mechanical approach was designed for easy use during operation and transportation. Camero’s unique solutions uses Ultra Wide Band (UWB) RF signals to generate 3D images of objects concealed by solid barriers such as walls, made from a variety of known materials including cement, plaster, brick, concrete and wood. The Xaver™ 800’s proprietary technology is able to overcome these obstacles while transmitting very low and safe levels of power.